Descriptions of classic Halloween cartoons including some TV air dates. If you have more information about the cartoons listed here or on any that aren't listed, and/or know when they'll be on TV again, please send us an email with the information, and we'll add it here. 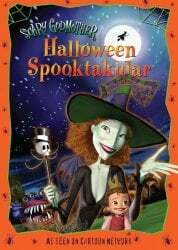 Description: Disney's treatment of witches, ghosts and goblins from the studio's classic films and cartoons make up this Disney Channel original production. 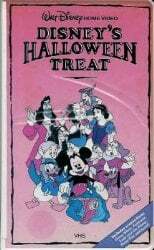 It includes Mickey, Donald, and Goofy as ghost hunters, the frenzied dancing demons from Fantasia, and Donald Duck's cartoon short "Trick Or Treat." A Film Landa Inc Production for The Disney Channel. Aired: Disney: October 1, 1983. Description: Monstrous events occur in this compilation of Tweety, Daffy Duck, Porky Pig, Sylvester, and Bugs Bunny cartoons. Featured clips from ten cartoons, inlcuding "Bedeviled Rabbit", "Beep Beep", "Canned Feud", "Rabbit Every Monday", and "Trip for Tat". A Warner Bros. Television Production. Aired: Premiered on CBS: Oct. 26, 1978; Rebroadcast on CBS: October 29, 1980; October 27, 1981; October 25, 1989. 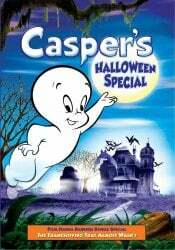 Description: Casper decides to go out trick-or-treating like the rest of the children and Hairy Scary tries to spoil the fun by playing a few pranks, but goes too far when he dissapoints some orphans. The special's story title was "He Ain't Scary, He's Our Brother." Aired: Premiered on NBC: October 30, 1979. Rebroadcast on NBC: November 1, 1981. Description: Disney salutes Halloween in this slightly scary selection of cartoon clips featuring scenes from various Disney cartoons set to music, including "Bad Moon Rising", "Ghostbusters", and "Monster Mash". Also included was a special montage of Disney villains to the Eurythmics' hit "Sweet Dreams." 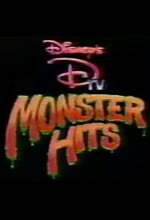 A Walt Disney Television Production. Aired: NBC: October 30, 1987. Rebroadcast on Disney Channel. 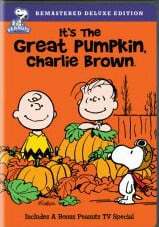 Description: Linus and his friends keep a Halloween night vigil for the arrival of the Great Pumpkin, who is said to have a bag of toys for all the good children. This marked the first appearance of Snoopy's Red Baron. A Lee Mendelson-Bill Melendez Production in association with Charles M. Schulz Creative Associates and United Media Syndicate. Aired: Premiered on CBS: October 27, 1966. Rebroadcast on CBS: October 26, 1967; October 24, 1968; October 26, 1969; October 24, 1980; October 30, 1981; October 25, 1982; October 28, 1983; October 26, 1984; October 30, 1985; October 24, 1986; October 23, 1987; October 25, 1989; October 30, 1998; October 29, 1999. ABC: October 30, 2001; October 25, 2002; October 28, 2003; October 26, 2004; October 25, 2005; October 27, 2006; October 30, 2007, October 28, 2008; October 28, 2009; October 28, 2010; October 27, 2011; October 31, 2012; October 31, 2013; October 15 & 30, 2014; October 20 & 29, 2015; October 19 & 28, 2016. 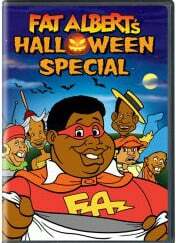 Description: Fat Albert and the Cosby Kids take a trip to the cemetary where they meet a witch, visit to that ol' bum Mudfoot who teaches them how to get tricked out of treats, and an encounter with a frightening widow who lives in the house on the hill. A Filmation Associates Production in association with Bill Cosby Productions. Aired: Premiered on CBS: October 24, 1977. Rebroadcast on CBS: October 22, 1980; October 27, 1981. 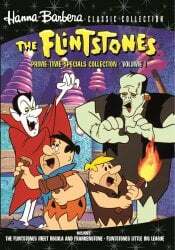 Description: The Flintstones and Rubbles don crazy costumes to compete on the Make a Deal or Don't game show, winning a romantic trip to Count Rockula's castle in Rocksylvania. Legend says that Count Rockula was creating a Frankenstone monster to scare away the werewolves, but has not been seen for 500 years. The couples arrive at the castle in time for the costume ball, but Fred and Barney accidentally run across Count Rockula's secret laboratory. Aired: NBC: October 30, 1980. Cartoon Network: June 4, 1994; October 29, 1995. Rebroadcast on Boomerang. Description: A Halloween-themed collection of clips from Disney's past cartoon features and shorts. Description: A young lad, Euchariah, bravely faces the evil Grinch, in order to save his fellow citizens of Whoville. A Dr. Seuss and A.S. Geisel Production in association with DePatie-Freleng Enterprises. Description: Garfield and Odie masquerade as pirates to go trick-or-treating and end up at a haunted house where ghostly pirates are expected at any minute. An Emmy Award winner. A Film Roman Production in association with United Media Productions. Aired: CBS: October 30, 1985; October 24, 1986; October 23, 1987; October 28, 1988; October 30, 1989; October 30, 1998; October 29, 1999. Description: Susan, B.O.B., The Missing Link, and Dr. Cockroach, Ph.D., are back as special operatives dispatched to investigate a mysterious alien presence on Halloween. As the night unravels the innocent-looking pumpkins are revealed for what they really are - mutant aliens! Luckily the monsters are there to smash the mutants' wicked scheme to take over Earth. Aired: Premiered on NBC: October 28, 2009. Rebroadcast on October 30, 2010. 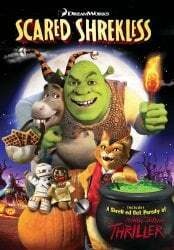 Description: Halloween is Shrek's favorite holiday - but instead of the usual tricks or treats, Shrek ups the ante and challenges the gang to spend the night telling scary stories. The last one to be scared Shrekless wins. Aired: Premiered on NBC: October 28, 2010; October 31, 2011. Description: In this wonderfully unique Halloween special, little Hannah Marie is excited to be going trick-or-treating with the older kids. But when her rotten cousin Jimmy tries to ditch her in the dark basement of a spooky house, Hannah is rescued by her Scary Godmother and whisked away to the best Halloween party ever! It's a 'who's-boo' of monsters with Skully Pettibone, Harry The Werewolf, Orson, Bug-A-Boo and more, all in one unforgettable night of big screams, strange pizza and the ultimate plan for revenge on Jimmy and his friends. A Starz / Anchor Bay production. Aired: Premiered on Cartoon Network. Description: Disney Pixar proudly presents a wacky new tale featuring all your favorite characters from the Toy Story films. 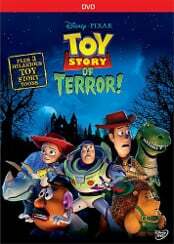 Join Woody, Buzz, Jessie and their pals in a frighteningly fun animated adventure. What starts out as an exciting road trip for the Toy Story gang takes an unexpected turn for the worse following a detour to a roadside motel. After Mr. Potato Head suddenly disappears, his friends find themselves caught up in a hilarious mystery that must be solved before they suffer the same fate in this thrilling Toy Story OF TERROR! Aired: Premiered on ABC: October 16, 2013. Rebroadcast: ABC: October 15, 2014; October 20, 2015; October 19, 2016. Disney Channel: October 17, 2014; October 18, 2014. ABC Family: October 19, 2014. Description: Three classic animated shorts; "Pluto's Judgment Day","Lonesome Ghosts" and "Trick Or Treat". Description: Pooh and his pals readying themselves for the "bestest Halloween ever" - but timid Piglet is too terrified of goblins to join in the fun. 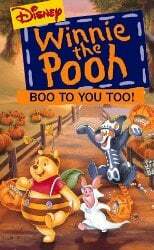 When Pooh and company are thrown into an exciting adventure on a particularly dark and stormy Halloween night, Piglet finds his courage, Tigger gets the good scare he was hoping for, and they all learn a lesson about friendship and the benefits of sticking together in the face of fear. Thank you to 80's Cartoon Central for allowing us to use some of their information.